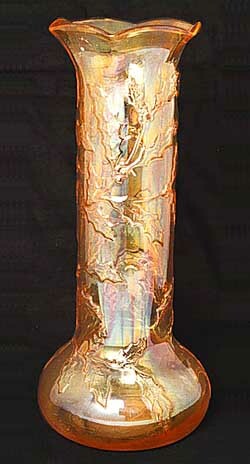 This is the only example reported of this unusual marigold vase. It's 10 inches tall and 4 1/4 inches wide at the widest point. It sold of $315 in 1996. At the time the buyer felt that it is Northwood, but that can not be confirmed.